Map of the week – Milton Keynes, village, town, city or county? Milton Keynes – the smallest county in the country. Milton Keynes is a town in Buckinghamshire (*more about that below), about 45 miles north-west of London. It was designated as a new town on 23 January 1967, with the design brief to become a ‘city’ in scale. The original Village name has gone through many variations over the years. The village was originally known as Middeltone (11th century); then later as Middelton Kaynes or Caynes (13th century); Milton Keynes (15th century); and Milton alias Middelton Gaynes (17th century). In the census of 1901 the village of Milton Keynes was recorded as having a population of just 219, a far cry from modern day Milton Keynes which population, according to the 2011 census, has risen to a staggering 229,941. Since the 1950s, overspill housing for several London boroughs had been constructed in Bletchley. 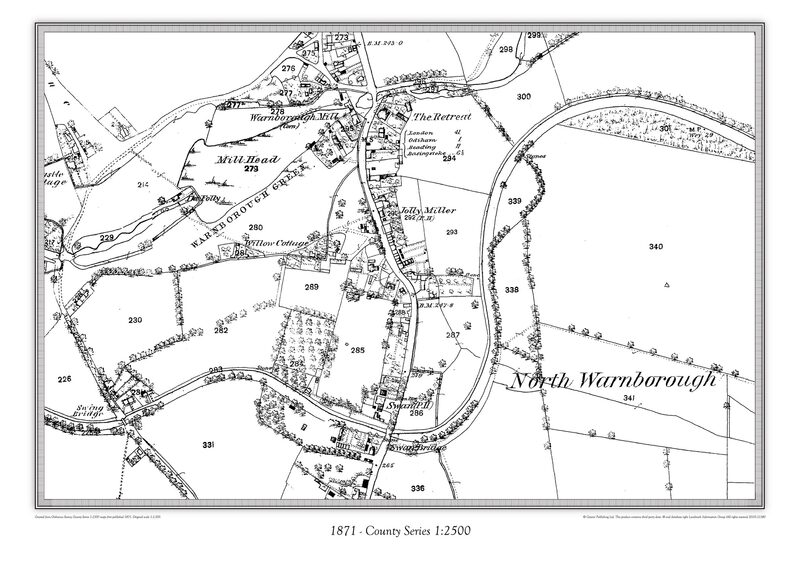 Further studies in the 1960s identified north Buckinghamshire as a possible site for a large new town, This new town would be built to encompass the existing towns of Bletchley, Stony Stratford and Wolverton. The New Town (informally, “New City”) was to be the biggest yet, with a target population of 250,000 in a ‘designated area’ of 34.1 sq miles. The name “Milton Keynes” was taken from the existing village of Milton Keynes on the site. The site was deliberately chosen for its location being equidistant from London, Birmingham, Leicester, Oxford and Cambridge. Milton Keynes Development Corporation planned the major road layout according to street hierarchy principles, using a grid pattern of approximately 1 km (0.62 mi) intervals. It’s the fastest growing urban area in Europe. There are currently twice as many births as there are deaths and around 13 people a day move to Milton Keynes. Central Milton Keynes’s shopping centre is in the Guinness Book of Records for being the longest in the World. Michael Jackson, David Bowie, Queen, U2 and Robbie Williams have all played the Milton Keynes National Bowl. The Crownhill Estate’s streets are all named after dead celebrities including Presley Way, Hendrix Drive Crosby Court, Keaton Close and Monroe Avenue. *Three bids to grant Milton Keynes city status have so far been submitted to the Government but none have succeeded, but that could be because a little known piece of legislation in 1995 actually names Milton Keynes as a county. The legislation reads ‘Milton Keynes shall cease to form part of Buckinghamshire’ and ‘a new county shall be constituted comprising the area of Milton Keynes and shall be named the county of Milton Keynes’. This new county includes all areas covered by Milton Keynes Council, including locations such as Olney, Newport Pagnell and Stony Stratford. With an area of around 119 square miles it makes Milton Keynes smaller than Rutland, traditionally known to be the smallest county in the country at a relatively massive 147 square miles. The mid 1940s was a period of intense regeneration and renewal in Britain. The Second World War had been won, but at a vast financial and human cost. The physical damage and disruption, though less severe than in many other countries, was considerable; more insidious were the conflict’s legacies of social and geopolitical changes. Atlee’s postwar government promised a new society forged from the wreckage of the old, although the immediate reality was one of bomb sites, creaking infrastructure and continued food rationing. The country’s post-imperial decline was already a fact in 1945, even though this would not become clear to all until the Suez Crisis a decade later. The conflict also had an impact on the Ordnance Survey. As in 1914, its original military role was reawakened with thousands of staff detailed to create accurate maps of Britain and Europe. Over 120 million sheets were printed for the D-Day landings alone, despite the fact that the Ordnance Survey’s Southampton headquarters had been largely destroyed in a bombing raid in 1940 and production had been forced to move to temporary quarters in Chessington. increasing demand for appropriate mapping. The problem of surveying and recording Britain’s ever-changing landscape – one inhabited by over 50 million people by 1951 – had been exercising the minds of the government, the military and the Ordnance Survey ever since the completion of the Popular Edition in the late 1920s, although the cartographic ambitions of these parties did not always coincide. The Fifth Edition of the 1930s was the result of various experiments of projection, sheet lines and styling which ultimately proved unsuccessful and the project was abandoned in 1939 with only a small number of sheets having been produced. Its replacement, devised in 1938, but delayed by the war, was the New Popular Edition, which first went on sale in 1945. Initial publication was completed in 1947, but sheets covering south-east England, including London, were republished with road and other revisions (including bomb damage in the capital) between 1947 and 1950. The New Popular Edition was a mixture of Fifth Edition-style material in southern England and ‘old’ Popular Edition material elsewhere, with subsequent revision. It was eventually superseded by the Seventh Series between 1952 and 1961. The New Popular Edition was in many ways a departure from previous Ordnance Survey series. Although still produced at the one-inch scale, it included (as recommended by the Davidson Committee in 1938) a metric National Grid. It was also the first series to incorporate Scotland as well as England and Wales using a consistent numbering system (although the Scottish sheets were not published), and was the first to be produced in portrait rather than squared or landscape format, with sheets of 45km x 40km. It also used the Transverse Mercator projection, rather than the Cassini which had been used by the Ordnance Survey since the inception of the one-inch nearly 150 years before. and heavily bomb-damaged. Open countryside was still commonplace across the country as a whole, but was fast being eaten into by the suburban sprawl of large cities. The railway network remained intact, but Dr Beeching’s axe was only a decade or so away, as was the opening of Britain’s first motorway, the M1. The New Popular Edition captures all this ‘raw material’ which planners and developers in subsequent decades were to use, for better or for worse, to create the Britain that we know today.